Fantastic and Excellent Support has made HostForLife.eu the Windows and ASP.NET Hosting service leader in European region. HostForLife.eu delivers enterprise-level hosting services to businesses of all sizes and kinds in European region and around the world. HostForLife.eu started its business in 2006 and since then, they have grown to serve more than 10,000 customers in European region. HostForLife.eu integrates the industry's best technologies for each customer's specific need and delivers it as a service via the company's commitment to excellent support. HostForLife.eu core products include Shared Hosting, Reseller Hosting, Cloud Computing Service, SharePoint Hosting and Dedicated Server hosting. HostForLife.eu service is No #1 Top Recommended Windows and ASP.NET Hosting Service in European continent. Their services is ranked the highest top #1 spot in several European countries, such as: Germany, Italy, Netherlands, France, Belgium, United Kingdom, Sweden, Finland, Switzerland and many top European countries. 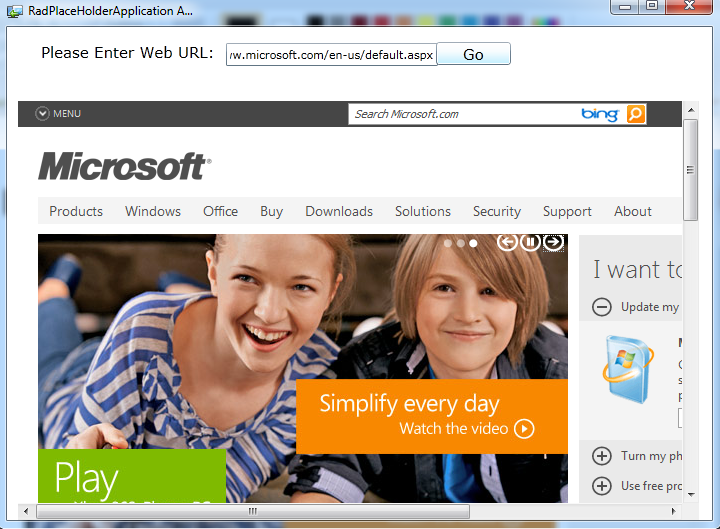 For more information, please refer to http://www.microsoft.com/web/hosting/HostingProvider/Details/953. HostForLife.eu has a very strong commitment to introduce their Windows and ASP.NET hosting service to the worldwide market. HostForLife.eu starts to target market in United States, Middle East and Asia/Australia in 2010 and by the end of 2013, HostForLife.eu will be the one-stop Windows and ASP.NET Hosting Solution for every ASP.NET enthusiast and developer. HostForLife.eu leverages the best-in-class connectivity and technology to innovate industry-leading, fully automated solutions that empower enterprises with complete access, control, security, and scalability. With this insightful strategy and our peerless technical execution, HostForLife.eu has created the truly virtual data center—and made traditional hosting and managed/unmanaged services obsolete. HostForLIFE.eu currently operates data center located in Amsterdam (Netherlands), offering complete redundancy in power, HVAC, fire suppression, network connectivity, and security. With over 53,000 sq ft of raised floor between the two facilities, HostForLife has an offering to fit any need. The datacenter facility sits atop multiple power grids driven by TXU electric, with PowerWare UPS battery backup power and dual diesel generators onsite. Our HVAC systems are condenser units by Data Aire to provide redundancy in cooling coupled with nine managed backbone providers. HostForLife.eu does operate a data center located in Washington D.C (United States) too and this data center is best fits to customers who are targeting US market. Starting on Jan 2013, HostForLife.eu will operate a new data centre facility located in Singapore (Asia). With three data centers that are located in different region, HostForLife.eu commits to provide service to all the customers worldwide. 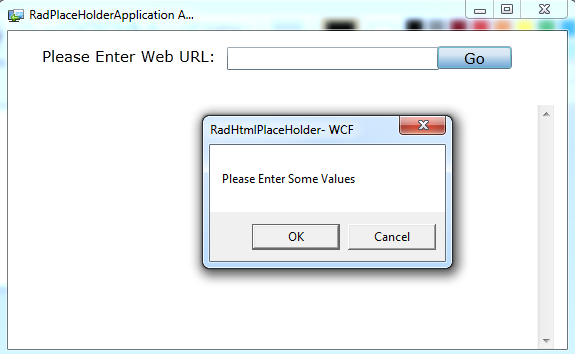 They hope they can achieve the best Windows and ASP.NET Hosting Awards in the World by the end of 2013. Our second goal is providing excellent customer service. Our technical management structure is headed by professionals who have been in the industry since its inception. We have customers from around the globe, spread across every continent. We serve the hosting needs of the business and professional, government and nonprofit, entertainment and personal use market segments. The Telerik Rad Controls for Silverlight can be found from http://www.telerik.com/products/silverlight/overview.aspx. 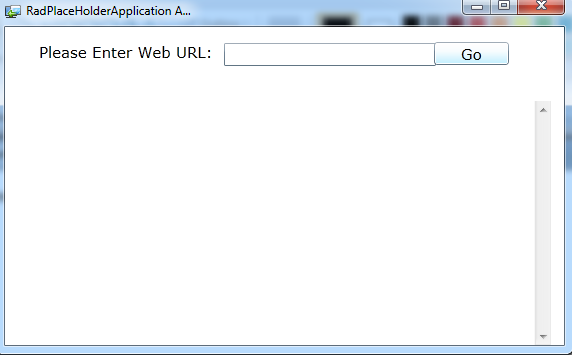 In simple terms "It is the special controls which enables to render external WebPages into Silverlight App". Text="Please Enter Web URL: "
I hope this article is useful for you.